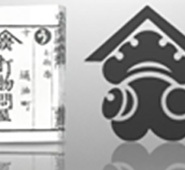 ﻿ History | Investor Relations | YUASA TRADING CO., LTD. 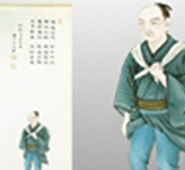 The 340-plus-year history of YUASA stretches back to 1666, when Shokuro Yuasa launched a charcoal trading business in Kyoto, which was then under the reign of Ietsuna Tokugawa, the fourth shogun of Japan's last and longest-lived military government. In 1674, in its eighth year of business, Shokuro opened a branch in the capital town of Edo (present-day Tokyo), under the name of Kogatanaya ("cutlery") Shokuro. 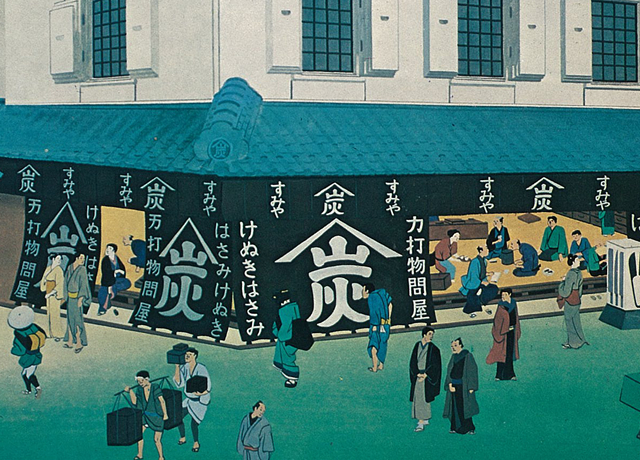 In 1688, the branch was renamed Sumiya, which means "charcoal shop." This new name reflected the founder's aspiration to make his fortune in the charcoal business. The 12th owner, Shichizaemon Yuasa, began running the family business under his own name. 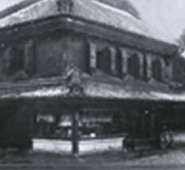 In 1872, he opened a Tokyo branch specializing in metal and hardware. The Tokyo establishment was reorganized as an iron and steel department of the enlarged Tokyo branch. In step with the country's rapid modernization starting in 1886, it grew rapidly to become recognized as one of the top metalware dealers in Tokyo. 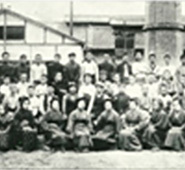 YUASA began to modernize and industrialize by establishing Yuasa Iron Works in 1909. This was followed by a move to launch overseas operations by the establishment of bases in Hankou (currently part of Wuhan), Tianjin and Shanghai. 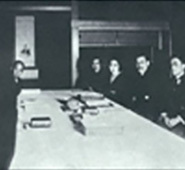 To respond to changing times, the long-established business was reorganized and incorporated in 1919 under the name of Yuasa Shichizaemon Shoten with a modern management structure. World War II ended in 1945, leaving the whole of Japan in a state of sheer devastation and confusion. YUASA's surviving employees rallied together to rebuild the severely damaged company and managed to successfully restart the business. Taking advantage of the huge opportunities presented by post-war reconstruction projects and soaring war-related demand, YUASA expanded rapidly and significantly. Roughly 30 years after the end of World War II, Japan entered a period of phenomenal economic growth. Japan entered two decades of unprecedented high economic growth. As the 1956 Economic White Paper put it, the Japanese economy could "no longer be termed 'postwar.'" To keep up with the rapidly changing times, YUASA went public under the name of Yuasa Kanamono Co., Ltd.
Continues to work to enhance management structure. 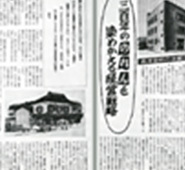 In 1969, as part of events to celebrate its 50th anniversary of incorporation and 300th anniversary of foundation, YUASA inaugurated the Yamazumikai association for developing and maintaining mutually beneficial relationships with its customers. 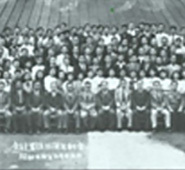 In 1977, YUASA launched the Tankyokai association to strengthen relationship with its suppliers. 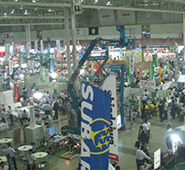 Throughout its history, YUASA has always valued trust-based relationships with customers and suppliers, and continues to promote this trilateral framework, as exemplified by the annual YUASA Grand Fair.